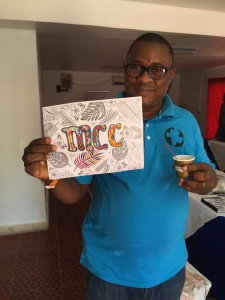 Recently, I got to participate in my first Konbit, a gathering where the entire MCC staff team from both the Dezam office and the Port-au-Prince office gathers for several days of meetings and updates. The name Konbit comes from the beloved Haitian tradition of collective labor, a vital part of rural agricultural life. During the harvest or anytime there’s a labor-intensive project, people will convene a konbit of their neighbors, providing food and music and rum in exchange for help and camaraderie. It’s a pretty beautiful tradition. For my contribution, I wanted to bring a creative activity to our Konbit, something to mix up the many hours of sitting in a conference room. 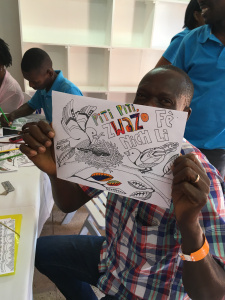 I’m a habitual doodler, and I pay attention better when I’m doing something with my hands, so I decided to make Haiti-themed coloring book sheets for us. 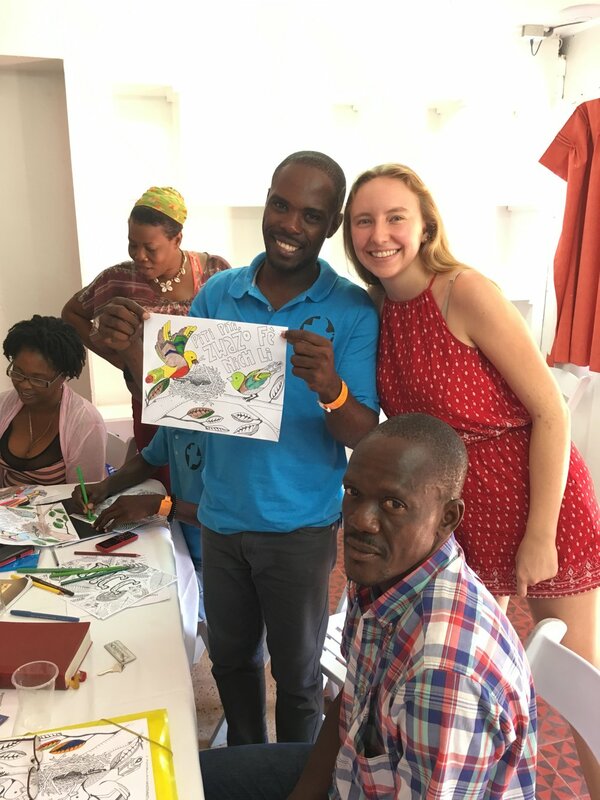 The coloring pages include common Haitian proverbs and imagery inspired by the Haitian landscape: leaves, flowers, and rolling mountains. Ekip MCC showing off pages in progress! To color along, click on the text below for PDF copies that you can print out! MCC - featuring moringa, palm, and breadfruit leaves. Men anpil, chay pa lou – Many hands make light work. 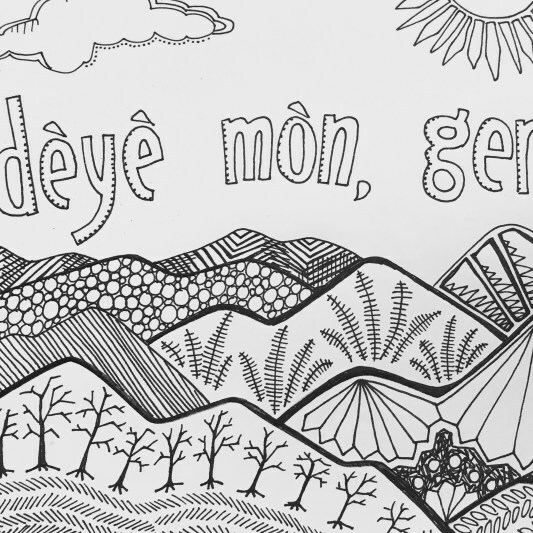 Dèyè mòn, gen mòn – Beyond mountains, there are mountains. This sobering proverb reflects on the seemingly endless suffering Haiti experiences. While it’s not very hopeful, I couldn’t resist the imagery. Madeline Kreider Carlson discovered a passion for global craft traditions as a child, while tagging along on volunteer shifts at Ten Thousand Villages. Hailing from Minnesota, she has worked with artisans and fair trade businesses across four continents. 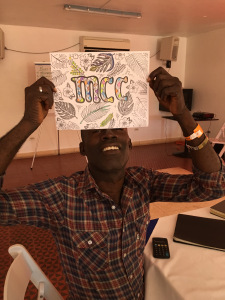 Madeline works as a Designer & Product Developer with MCC partner Comite Artisanal Haitien. You can follow Madeline on her personal blog. Read more of Madeline's reflections on her experience in Haiti.